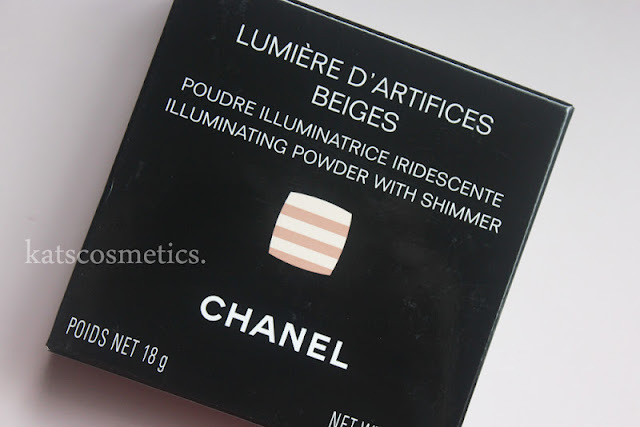 New Chanel highlighter for this fall! 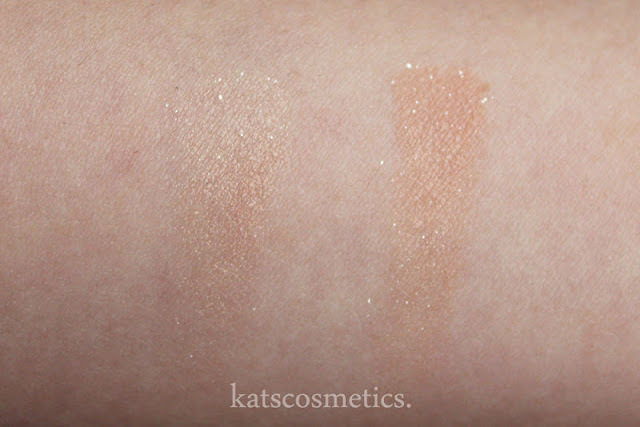 I have been using a shimmery golden-white eyeshadow for my highlighter for quite a long time. I like how it looks on me, but I want some thing less obvious and less shimmery. This definitely is a low key highlighter. Well... it does have a over-spray of silver glitter. But without the over-spray, the color shows up super natural and glowy on my face. The glitter is really fine. But once apply on the face, it looks super sparkle... I don't think anyone would use a glitter highlighter in everyday life. I guess they designed for just looking cute in the pan. 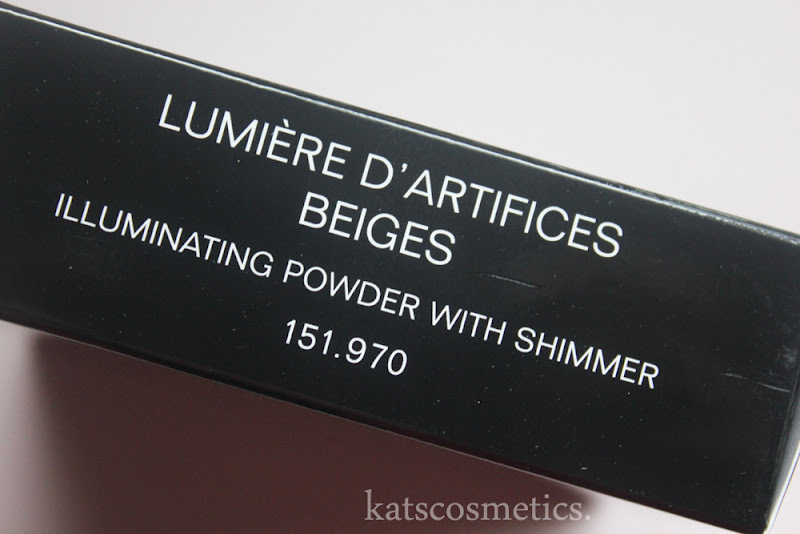 Sadly I couldn't use it for a highlighter - I used for a all-over-face glowy powder. I tried just using this for highlighting, but it looks too low key that doesn't even show much on my face. 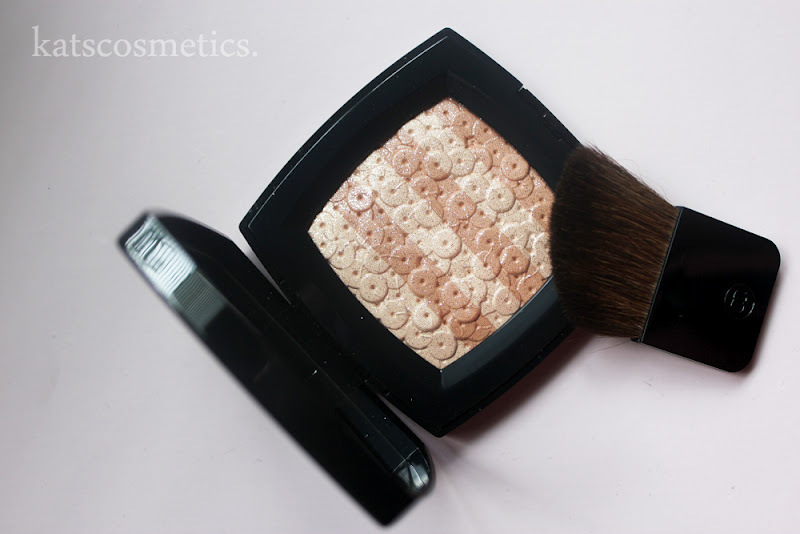 If you have pale or light skin, it would work for you as a highlight. The texture is silky and creamy. Lasting a whole day without any touch-ups. 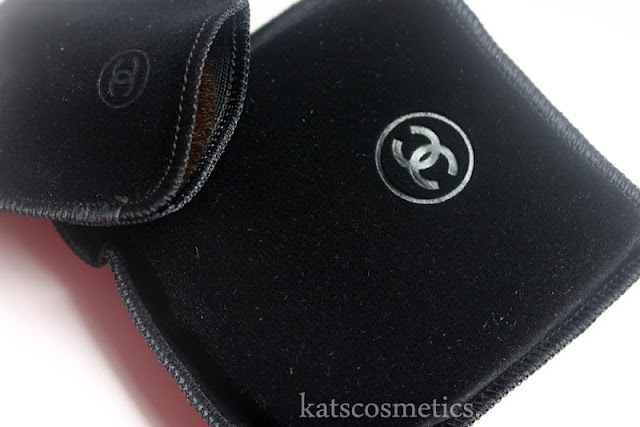 The packaging is just the Chanel's classic square black case. It comes with a mini angled brush. It works but not the best.